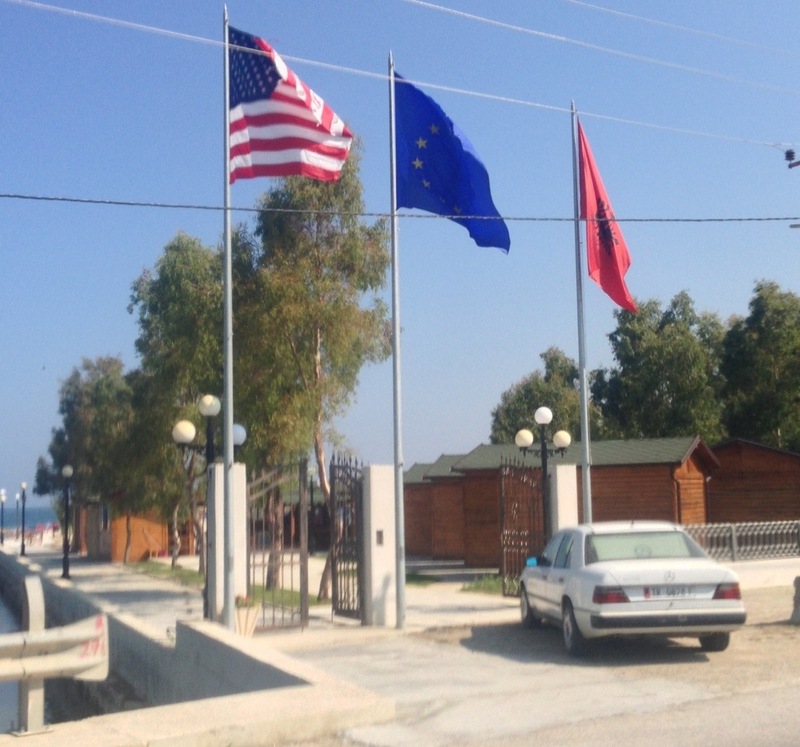 Like many probably most others I came to Albania with a number of preconceptions. In the main they have so far turned out to be false or certainly outdated. What I’ve discovered is a country that appears to be heading in the right direction from closed communist to society to no doubt one day member of the European Union. The physical beauty of the country has hopefully been evident in the pictures that i have posted on here. The roads upon which I’m cycling are in the main fine. The people that I’ve come across so far have been like everyone else; friendly and helpful. 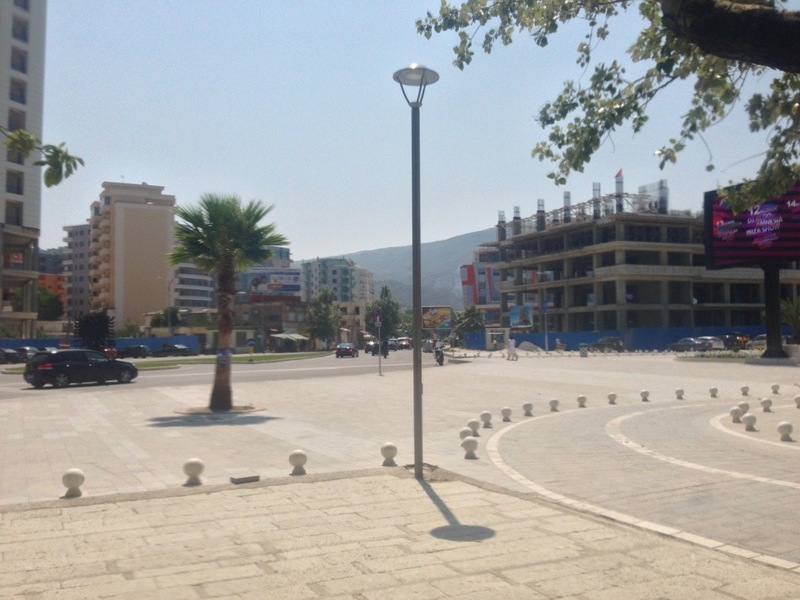 put them behind a wheel and they are more Greek than British but… the towns are surprisingly commercial and whereas half-built houses in Greece had been abandoned, here in Albania they do seem to be in the process of still being built. there is a lot of construction going on and you do wonder if a system of planning exists here and the extent to which unchecked development will begin to impact on the natural environment. They are not at that point yet but i can see it coming very soon. 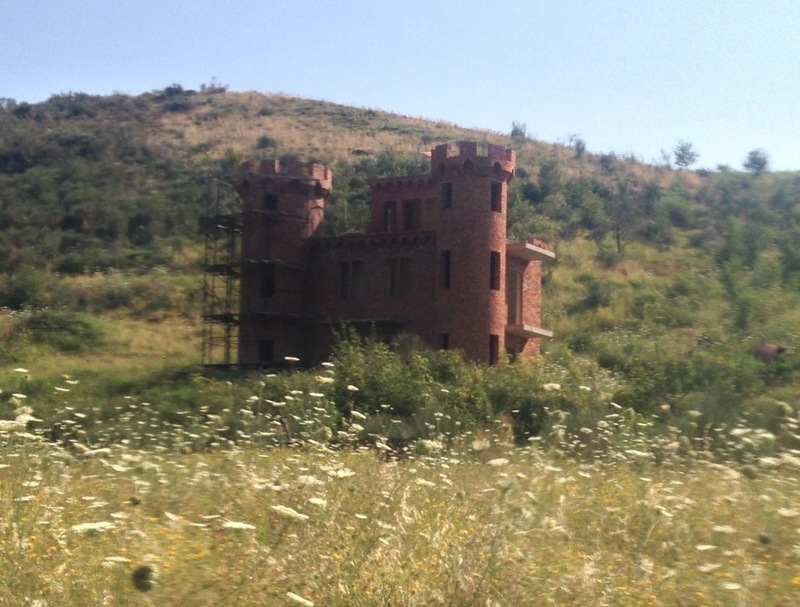 some buildings – like the semi-constructed castle below – simply need a better architect involved from the start. All that said, it’s not a country without its issues, some comical, some less so. I’ve mainly experienced them while cycling. The driving is appalling. Just what is the point in sounding your horn? Do you not think I’m not aware that you are there in your black Mercedes? Incidentally it does appear that if you are a man of between 25 and 45 that this is what you have to drive. The Mercedes dealerships in Albania must be coining in the Leke. If you haven’t got a Merc then it’s probably a Range Rover or Toyota 4×4 of some description. And before you say anything, I have yet to spot any that are right-hand drive… I do like the comical throw backs to communist days; the statues & monuments proclaiming the great socialist state. I think people are simply more interested in making a quick buck! There is a tax reason in Greececwhy people do not complete their houses. It has been going on for years, an acknowledged way of cheating the inland revenue.